I have just finished this painting of the cat Pusur today. It is oil on canvas, and 65 x 45 cm. 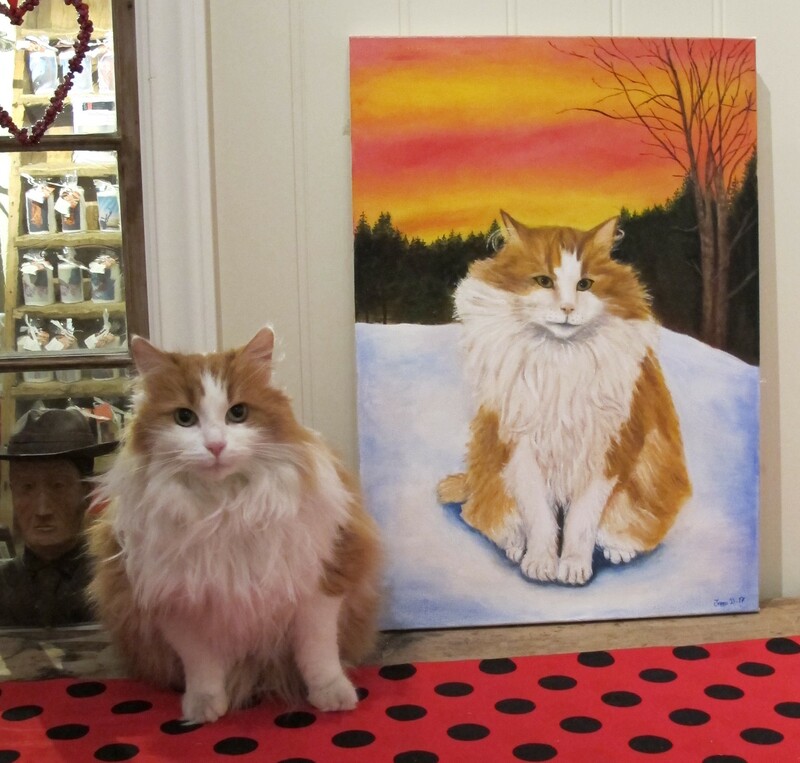 I was lucky enough to get a visit here at my art studio from Pusur and his owner yesterday. 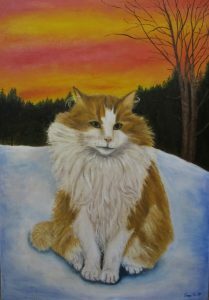 Getting visit from animals I am painting is not a regular occurence, – so I truly enjoyed this! It was great fun to actually get to meet the cat I have spent weeks studying and painting! You can see larger photos of this painting in both the Commissions gallery and the Portrait gallery. 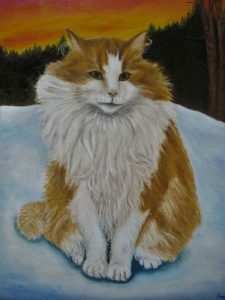 If you have a pet you would like to have a painting og drawing of please do not hesitate to contact me for further details. This was Pusur’s first visit to a proper artist studio, he seemed to find it all very interesting and had a good look around before he agreed to pose next to the painting of himself!